Streaming giant Spotify (spot) has acquired podcasting company Parcast. The deal, announced Tuesday morning, is another step in Spotify’s shift from music to audio. Parcast is the studio behind popular shows including Cults, Serial Killers and Mythology, and has more than 20 new podcasts slated to launch later this year. 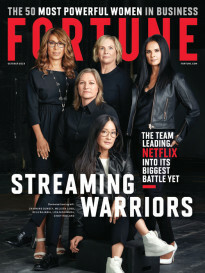 Despite having more than 200 million global users, 96 million of which pay for the service, Spotify has yet to become profitable, largely because it pays royalties for the music it streams. Buying up podcasting companies enables it to offer engaging content to consumers without worrying about all those pesky pennies per play. It’s been less than two months since Spotify announced its acquisition of podcasting companies Gimlet Media and Anchor, a high-quality narrative podcast producer and a distribution and monetization service, respectively. 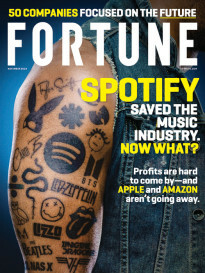 Recode reported at the time that Gimlet alone cost Spotify more than $200 million. The purchases form part of Spotify’s wider evolution: CEO Daniel Ek said in February that he believed more than 20% of all Spotify listening will eventually be non-music content and that the company planned to spend up to $500 million to acquire more podcasting companies in 2019. Spotify went public with a direct listing in April 2018 at a valuation of nearly $30 billion.